Sony just announced the all-important release date, along with the game's box-art, and two deluxe editions. It's coming exclusively to PlayStation 4 September 7. The Digital Deluxe edition will include the game and three episodes of post-launch DLC, "The City That Never Sleeps". Spider-Man holds one of his classic comic poses against a red backdrop, while wearing the brand new Advanced Suit that Insomniac developed for their iteration of the character. The statue has only been partially revealed as it includes spoilery content. In terms of art design, Insomniac appear to be borrowing heavily from the Spectacular Spider-Man universe, which certainly is not a bad idea. Of course, there are pre-order bonuses for purchasing Spider-Man early, which include the Spidey-Suit pack, featuring three suits for Spider-Man. Rich, Kingpin-types, however, might want to bag themselves the $150 Collector's Edition. Additional looks will be revealed as we get closer to the game's release date, but the studs and jacket already make this pre-order a must. In addition to the regular game, they'll release a collector's edition and a digital deluxe edition. Per GameSpot's Chris Pereira, this edition comes with a standard copy of the game and post-launch DLC. Plus we got famed Marvels and Amazing Spider-Man cover artist Alex Ross to create this "Amazing" cover painting for the magazine. According to Insomniac, the game's story will feature a confident Peter Parker/Spider-Man who, despite his experience, is still an underdog in the fight against the game's villains. 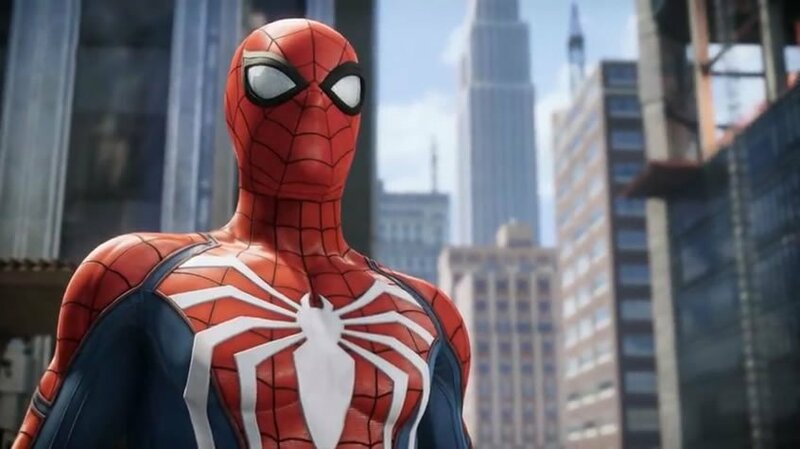 Since "Spider-Man" was first announced at E3, gamers have been speculating as to whether or not the game will eventually see a release on other platforms. Check out this video of Spider-Punk and its suit ability in action below.